The flower meadow at Cross Lane is starting to bloom. 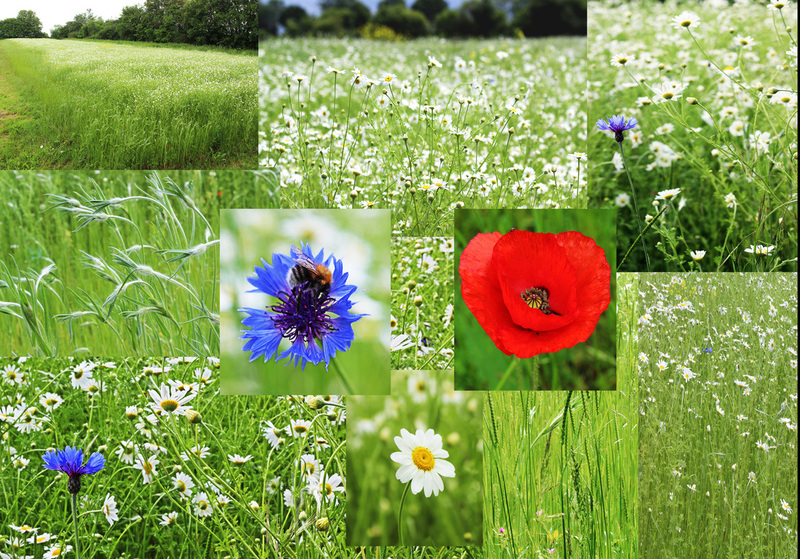 David Whitbread of the Harpenden Photographic Society sent us the photograph below which shows combined images of the wild flower meadow taken on 29th May 2014 in the morning. It is planned to take pictures of the flower meadow over a period of time to show how it develops. In addition, David's HPS member who specialises in close ups of butterflies, insects etc has agreed to join in the project. We should therefore start to see how wildlife makes use of the different flora. Further photographs will be posted on this web page. More photographs of the flower meadow at Cross Lane. The following photographs were taken by Chris Wilson. Chris also created the composite pictures shown below.